With habitual drinking, the body system becomes dependent on liquor. Alcohol detoxification is a process that helps the body to get rid of all traces of alcohol thereby leaving the patient alcohol-free. This can be done at home or in a medical facility. The reason why hospital alcohol detox is advised is so that the detox process can be monitored and any complications of withdrawals can be dealt with as and when they arise. What is alcohol detoxification in the facility? Why shall one require medical assistance during alcohol detox? What does the process look like? What is the timeline? How to choose the right medical detoxification facility? Detoxification is a multi-stage process that begins with substance withdrawal which is then followed by treatment for alcoholism. There are a number of interventions that are used during alcohol rehab detox some of which include medical, pharmacological, and psychological. The goal of all these approaches is to minimize the severity of the resultant withdrawal symptoms and give adequate support to the individuals as they start their recovery journeys. The detoxification process involves a number of stages which end in treatment for alcoholism. The interventions carried out in an alcohol rehab detox comprise medical, psychological, and pharmacological procedures. Even though each facility has its own set of processes, all of them are geared towards minimizing the severity of withdrawal symptoms and supporting the patients on their recovery journeys. Detox is not a complete form of addiction treatment. All that detox alcohol centers and medical professionals do is to assist the individual in finding the right mix of treatment resources and help them to transition into the recovery process. In most alcohol detox facilities, detox is included as part of treatment packages. This allows clients to benefit from comprehensive care offered at a single facility. The treatment process oftentimes involves both individual and group therapy and incorporates support groups. Medical facilities may have their own customized treatment modalities. The two main categories of treating alcoholism offered at recovery facilities are inpatient and outpatient. Inpatient alcohol detox is where the patient lives in the hospital, rehab center, or detox clinic during the entire process. The patient is accorded care around the clock to ensure recovery is on track. The outpatient alcohol detox program allows the individual to get treatment and go home. This is cost-friendly, but the services offered are not as many as in inpatient. Outpatient is suitable for people with moderate or mild withdrawal. People addicted to drinking face incredibly dangerous and life-threatening withdrawal symptoms. For this reason, it is recommended that the detox should be done in an alcohol detox clinic. Medical professionals play a key role in guiding individuals on how to detox from alcohol. The health complications that may result from the detox combined with a likelihood of relapse makes it imperative that medical attention should be made available throughout the process. Self-detoxification from alcohol at home though possible is not encouraged. The detox process is usually associated with withdrawal symptoms that usually surface as early as 8 hours after one stops drinking and may last for up to 72 hours. Detox may also give rise to other physiological conditions such as electrolyte imbalance, dehydration, and vitamin deficiencies. Throughout the hospital alcohol detox process, medical supervision is needed to monitor these complications as they arise and provide emergency support where needed. Patients with pre-existing medical conditions may experience complications during the withdrawal process, and such require close monitoring in alcohol detox treatment centers to ensure comfort and safety. When going through detox, other opportunistic conditions may come up and hence the need for regular screening. It is not uncommon for individuals undergoing detox to develop heart and liver complications, pancreatic infections, problems with the digestive tract, nervous system breakdowns, and an increase in the likelihood of contracting infectious diseases. In the course of detox, some medication may be recommended which is prescription-based and where guidance and monitoring from medical professionals are required. The detox process comprises three steps. Lots of detox programs incorporate medications that mimic alcohol effects. This is deliberately done to mitigate withdrawal symptoms. The alcohol detox medications are also targeted at general discomfort and co-occurring disorders. Getting the best alcohol detox centers, involve a lot of information gathering and decision making. Questions on affordability, inpatient versus outpatient, staff qualifications, and the specific individual needs must be answered appropriately. 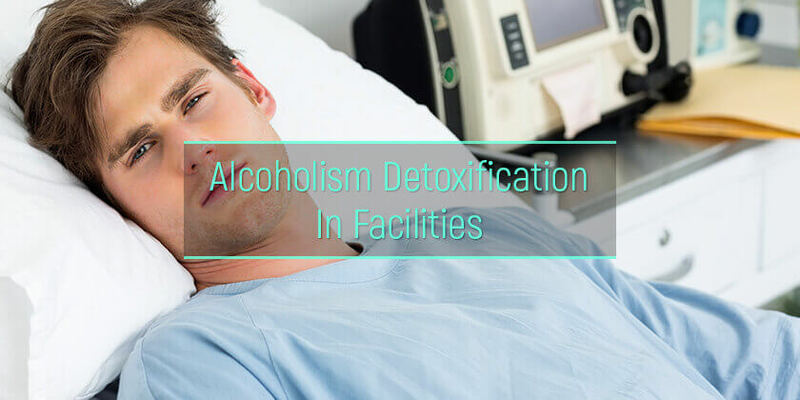 Obtain as much background information – Find out the services offered at the alcohol detox facility and their suitability to the kind of treatment the patient is looking for. Financial considerations – Find out if they accept insurance and whether the cover includes the facility as one of the treatment centers. State-supported alcohol detox centers and those offering financial subsidies can make treatment less costly. There are also free alcohol detox centers some of which are run by faith-based organizations. Aftercare concerns – The detoxification process is linked to recovery and life after. Alcohol and drug detox centers with a network of support groups, job placement, and housing can help individuals settle down once they leave. Therefore, the main goal when looking for an alcohol abuse rehabilitation center is to find one that is suitable in all aspects.